Darlene and Wilbert Carlson of Camarillo died in 2013 and 2014 at the ages of 84 and 85, respectively. (THOUSAND OAKS, Calif. – June 9, 2015) California Lutheran University has received $2.32 million from the estate of an alumna’s parents to advance programs in three fields that were important to the family – ministry, science and education. 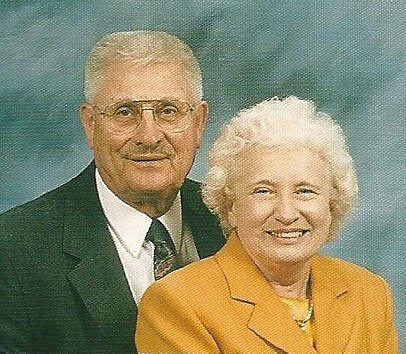 Darlene and Wilbert Carlson, Camarillo residents who died in 2013 and 2014 at the ages of 84 and 85, respectively, left $1.4 million to establish an endowed chair in youth and family ministry, $584,700 toward the construction of a new science building, $300,000 for a summer research program in chemistry and $40,000 for an endowed scholarship for aspiring teachers. The $1.4 million gift provides an endowment to help pay the ongoing cost of a faculty member to lead the youth and family ministry specialization within the theology and Christian leadership degree program. The program, currently led by assistant professor of religion Colleen Windham-Hughes, was launched six years ago in response to demand for professionals to lead church programs. The Carlsons were charter members of Mount Cross Lutheran Church in Camarillo. The science center donation will help the university eventually build a facility that will connect to the current Ahmanson Science Center. The new building will house additional labs and classrooms for the growing number of students studying biology, chemistry, environmental science and exercise science. The $300,000 gift will enable Cal Lutheran to reach its goal of raising $1 million to establish an endowed John Stauffer Research Fellows Program in Chemical Sciences. The John Stauffer Charitable Trust pledged a challenge grant of $500,000, and the university has now raised the matching donations required. The endowment will provide fellowships to about 10 students each summer to conduct original research full time for eight weeks with mentoring from faculty. It will also cover travel costs for the students to present their research at professional conferences. Will Carlson’s focus within the sciences was aerospace engineering. He graduated from the Northrop Institute of Technology and worked his way into upper management in the aerospace industry in the San Diego area. In 1967, he began working at Northrop Corp. in Newbury Park and the family moved to Camarillo. He retired as the manager of manufacturing and engineering in 1988. Darlene Carlson worked for an electronics manufacturing company and an aluminum production shop. The final $40,000 will expand the Wilbert and Darlene Carlson Scholarship for students preparing to become teachers. The Carlsons established the scholarship in memory of their daughter Dee, who earned a bachelor’s degree from Cal Lutheran in 1978. The adult education administrator died suddenly in 2009 at the age of 52. The couple’s other child died at birth.